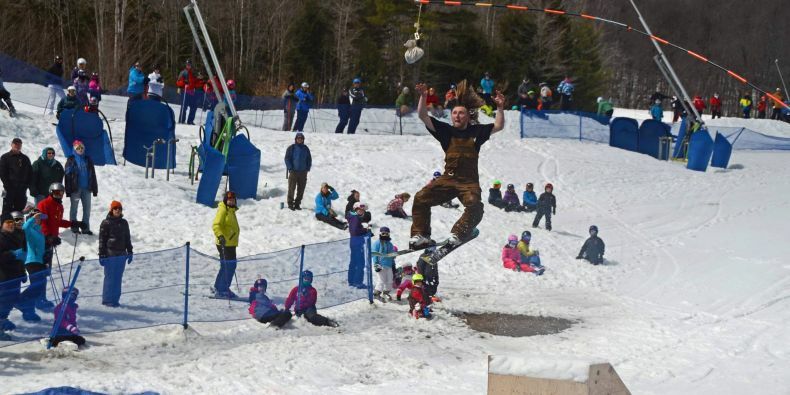 Don't miss out on Mount Snow Resort's Bud Light Glade-iator Competition on April 14th! Risk taking a splash for a lot of cash at Okemo Mountain Resort on April 7th! 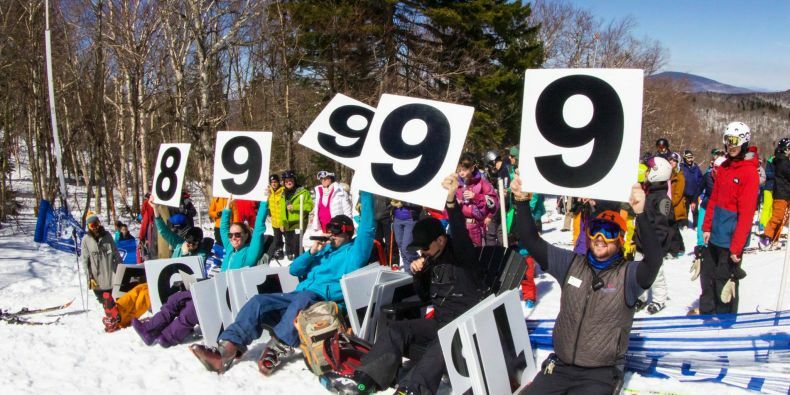 April has arrived and that means skiers and snowboarders can deviate from the typical packing list and break out the sunscreen, costumes and aquatic ski talents as they prepare for Vermont’s best spring skiing and riding events. Visitors will enjoy annual pond skims, tailgates, music festivals and more at Vermont ski and snowboard resorts this month. Expand your palate for wine with Trapp Family Lodge’s April wine tasting series. Start off with Austrian Wines on April 4, then move onto Grenache and Grenache Blends from Four Countries on April 7. On April 11, tasters can celebrate the great taste of bubbly with Sparkling Wines from Four Countries, and lastly, end the month’s tasting series with a selection of classic French Wines on April 14. All tastings are $20 and doors open at 4 pm. Reservations are recommended. Stratton will be wrapping up the Stratton Mountain Music Winter Series and ushering in the warmer temperatures with a brand new bluegrass music festival this April. 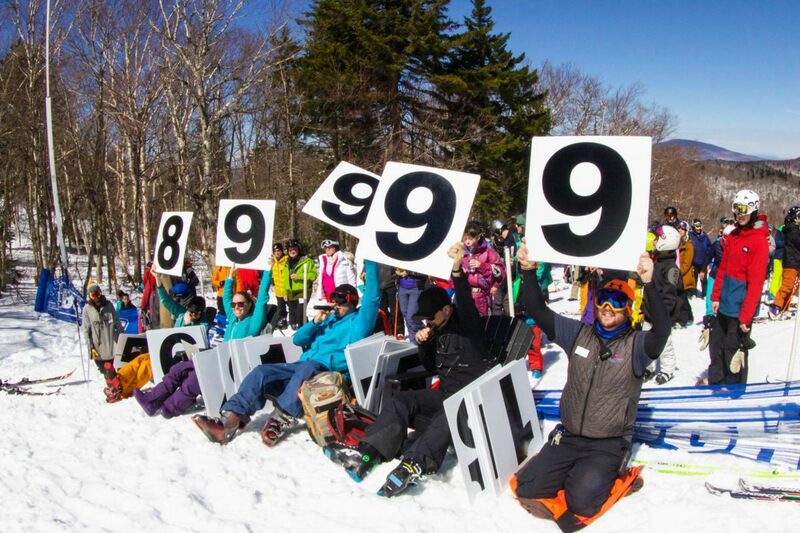 Winter sport and music festival MINUS ZERO is coming to Mount Snow in 2018 for its biggest event yet. Last year, a sold-out crowd of thousands hit the slopes and partied at MINUS ZERO, which featured over three stages of music featuring over 50 top international and emerging electronic music acts including Bassnectar, Zeds Dead, GRiZ, Illenium and Claptone, snowboarding with a Rail Jam & Jump competition and a demo from some of the top pro-boarders including Carinthia Team athletes. Take the plunge across a 120-foot pond at the base of Lincoln Peak. Whether you get wet or spectate from the crowd, be sure to participate in this Annual Rite of Spring at Sugarbush. 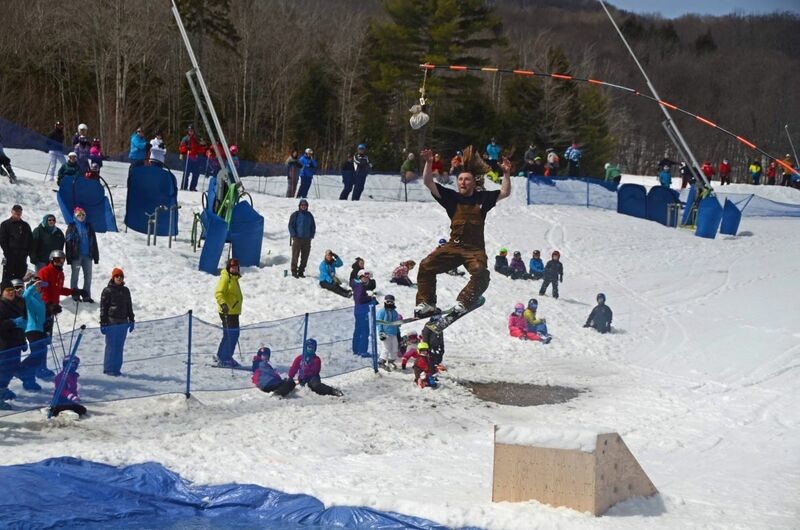 Join Smugglers’ Notch on Saturday, April 7 for some of their best spring skiing events. The day is presented by Sierra Nevada Brewing Company and features the 8th annual pond skim event in the Zone Terrain Park, a tailgate party in Parking Lot 1 and an après party at the Black Bear Tavern to end it all. Costume-clad Slush Cup competitors schuss toward an 80-foot slushy pond and try to make it across without falling. It’s a chilly spring dip for those who don’t make it. Open to the first 125 participants. Prizes awarded in a variety of categories. After that, launch off a kicker and grab a dangling bag o’ cash before splashing into the chilly slush pond. Successful skiers and riders keep the cash. The Glade-iator competition is a mogul skiing contest on the soft bumps of the legendary Ripcord, one of the steepest trails in the east. Competitors will show off their bump and jump skills and will be judged on a combination of time, form, line and aerial maneuvers off one of the two jumps.This is also one of the best spectator events of the year, complete with sun, snow and a cash BBQ & Bud Light bar. Stein’s Run is a classic New England trail that tests the mettle of even the best skiers and riders. Competitors have 4 hours to complete as many laps as they can on Stein's Run. Skiers and riders check in with the race marshals at the top of Stein’s to log each lap. Great prizes and fun for the whole family. Spectators can enjoy the show while sipping cold beer and hot pizza at the Pizza & Pint Pavilion at the base of Stein's Run. Rasputitsa is Russian for "mud season" - which gives you pretty accurate preview of this 45-mile bike race for bragging rights in northern Vermont. In addition to great spring skiing events, Vermont resorts offer late season savings on lift tickets when purchased ahead of time online. For eager skiers and snowboarders looking ahead to next season, now is the time to purchase 2018-19 season passes at their lowest prices. Many Vermont resorts also include access to this season’s spring skiing with advanced purchase of a 2018-19 season pass. Don’t miss out on Vermont’s bluebird days this spring; stay up to date with resort conditions here and be on the look out for Vermont ski and snowboard resort closing information as the days get warmer and the goggle tans get darker.